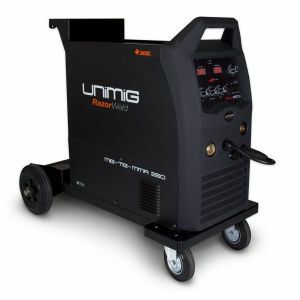 The top of the range UNIMIG 270 is one of the most powerful MIG’s in it class. 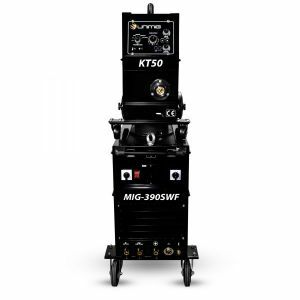 Combining an exceptionally high duty cycle and power with very smooth arc characteristics, it is designed for use in medium to heavy fabrication, as well as rural applications. 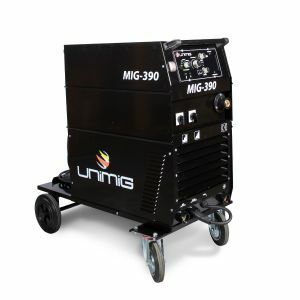 If 3 phase power is unavailable, the UNIMIG 270 will give you the reliability and power you need to get the job done. 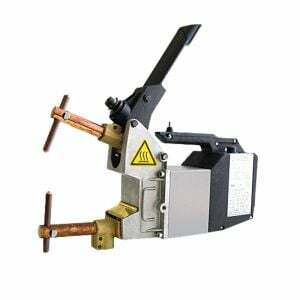 Fitted standard with a geared four roller drive system ensuring consistent wire feed and smooth welding. Built to Last: Designed and manufactured with the best quality components for increased durability and reliability. 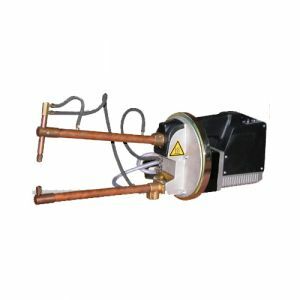 Copper wound transformer and smoothing choke, large 250mm cooling fan with enclosed motor, to maximise cooling for high duty cycle operation. 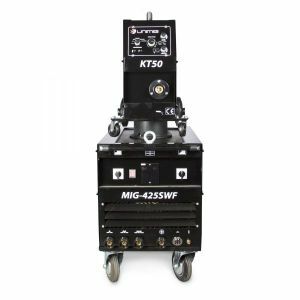 Voltage Steps: 21 position switching, allows precise setting in small increments of welding voltage so the operator can achieve the correct weld penetration. Gear Four Roller Drive: Geared four roller drive unit, featuring 40mm drive rollers for consistent smooth wire feed. Fitted to all workshop machines. 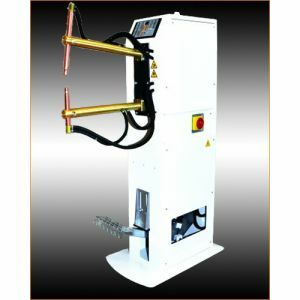 Warranty: UNIMIG is pleased to offer a 3 year warranty on all UNIMIG Workshop Series machine’s*. *Please note warranty only applies to the power source only.